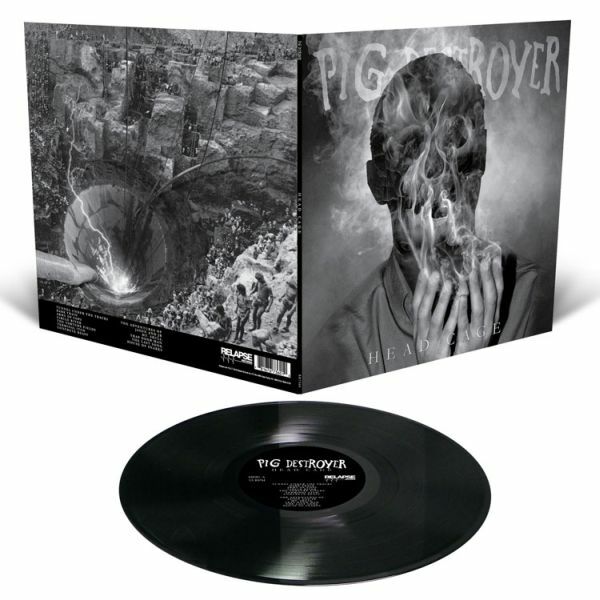 PIG DESTROYER - HEAD CAGE VINYL (LP BLACK) | Online Shop | Wizard LTD. Album: "HEAD CAGE VINYL (LP BLACK)"
Head Cage was recorded by guitarist Scott Hull at Visceral Sound Studios, mixed and mastered by Will Putney (Exhumed, Every Time I Die, Body Count) and features striking artwork by Mark McCoy (Full of Hell, Nothing) along with guest vocal appearances by Agoraphobic Nosebleed&apos;s Richard Johnson and Kat Katz plus Full Of Hell&apos;s Dylan Walker. PLAY AT MAXIMUM VOLUME!